Nose: Complex; a wonderful mélange of vanilla, saffron, leather and cinnamon. The finish on the nose evokes aromas of nutmeg, moss, coffee and jasmine. It is particularly fragrant. Palate: A long and rounded palate. Flavors of menthol, walnut and liquorice are carefully balanced. The spices of fennel, candied fruits and cardamom are the last to appear. 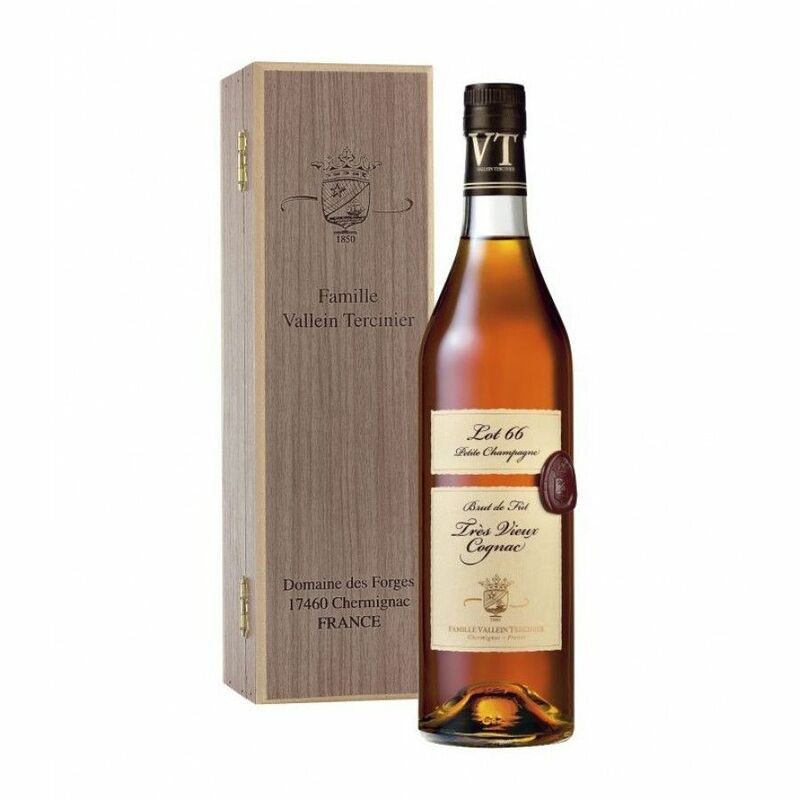 The Vallein Tercinier Lot 66 Cognac is one of the fine, single barrel Cognacs hailing from this artisan maison. It does as its name suggests; delivering one lot, from one very special year. The strength is something to really enjoy, originating from the one cask. This Vintage Cognac is derived from the Petite Champagne cru, which is best known for its compact, chalky soil that has been formed over millions of years. The soil, which is a unique result of maritime fossilization, creates an elegant Cognac that you must indulge in. Aged in oak casks that date back to the single year of 1966, the producers at Vallein Tercinier bottle with order so you know you are truly receiving a one-of-a-kind spirit. It is reduced over an extended time period, and filtered at an ambient temperature. It is not chill filtered, hence its delicate natural coloring. Only 149 bottles are available for this particular year, so it truly is a limited release. The Cellar Masters at the Vallein Tercinier Cognac house have had their roots firmly planted in their family over five generations. From father to son, knowledge is passed down and they are quickly becoming a hot topic in the Cognac world, with a unique set of bottles available. For over 500 years, they have been working from the Domaine des Forges estate. The Cognacs from this house always arrive perfectly packaged; and the Lot 66 arrives in a long vessel, with an embellished label and wax seal on the side of the bottle. The piece de résistance in terms of its presentation is the wooden box, engraved with the family crest. Treat a good vintage as it deserves, and enjoy it neat.